Ice turns to art at McCall, Idaho’s Winter Carnival 2014! | Oh, the Places We See . . .
Ice turns to art at McCall, Idaho’s Winter Carnival 2014! So what DO cupcakes, dinosaurs, deep-sea divers, and VW bugs have in common? Well, if they’re in McCall, Idaho, they’re ice sculptures! After all, it’s Winter Carnival 2014, sponsored by the Chamber of Commerce and Visitors Bureau. From what we had heard, McCall’s Winter Carnival is quite the destination with a Children’s Torchlight Parade, fireworks over Payette Lake, Mardi Gras parade, Beer Garden, Craft Faire & Chocolate, and ice sculptures strategically placed throughout McCall. Although the carnival festivities extended from January 24th to February 2nd, we didn’t arrive until February 5th. But we hoped to see the ice sculptures, even if they might appear a bit weather-worn. 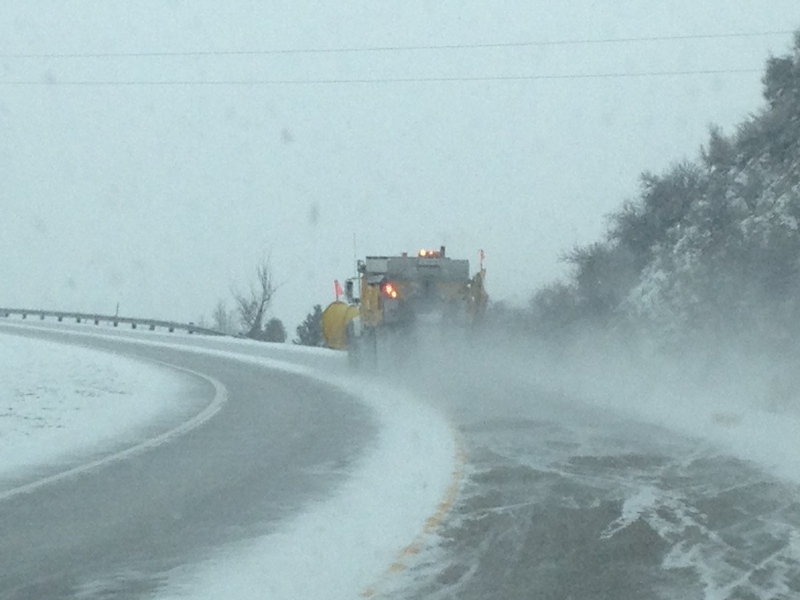 We headed up Highway 55 in a blinding snow out of Boise thankful for the snowplow in front of us. The sculptures weren’t in their original pristine condition, but even with the ravages of children climbing the sculptures, winter sun smoothing out carefully crafted features, and tourists posing with the likes of ice cars and gnomes, the artwork had held up well. Quite well. So, here are our favorites. Hope you enjoy them as much as we did! Two happy gnomes at McCall’s Winter Carnival! Ice car you can sit in! This entry was posted in Destination, Festivals, Idaho, Travel and tagged Hotel McCall, ice sculpture, McCall Idaho, Payette Lake, Winter Carnival 2014. Bookmark the permalink. 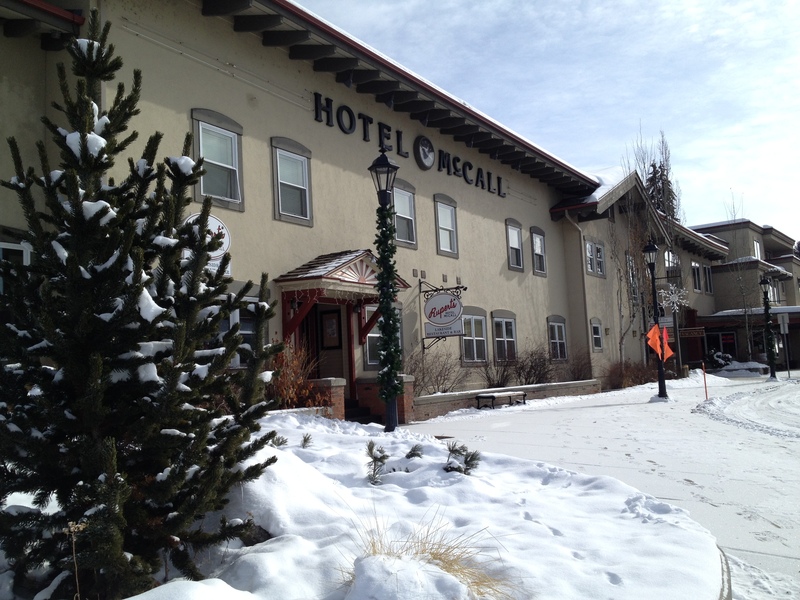 4 Responses to Ice turns to art at McCall, Idaho’s Winter Carnival 2014! Love the ephemeral charm of the ice sculptures – especially the quirky gnomes! We did too! Just wish we could have gotten there earlier to see them fresh; however, we could view them without all the crowds and parking problems. So, it’s a trade-off! Great experience — not many ice sculptures in Tennessee! Thanks for reading! Pingback: Colorful yarns, comfortable setting: Keep Me In Stitches – McCall, Idaho | Oh, the Places We See . . . Careful not to let that dinosaur eat you, Rusha!